NetherRealm announced a lot of new information in their special Mortal Kombat 11 showcase and one of the big announcements was the game’s Kollector Edition. The special Kollector edition for Mortal Kombat 11 has brought something awesome for fans of the series! 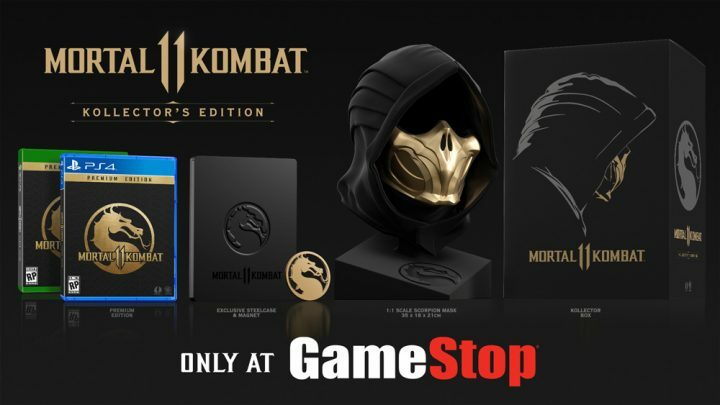 The set includes a premium version of Mortal Kombat 11, exclusive steel case & magnet, and the highlight of the show — a full-scale Scorpion mask! Anyone who is an MK fan will most definitely want to get their hands on this special edition, which will be exclusive to GameStop. However, you might want to save up a little money before you head to the pre-order page, as this will run you up to $300. It is quite a price, but for a full-scale mask, and the premium version of the game, I guess fans can’t be too mad at the price. Mortal Kombat 11 is set to release on April 23 for the PS4, Xbox One, PC, and Nintendo Switch. are you excited for the upcoming title?